KANSAS CITY, MISSOURI - The Kansas City office of MMC Contractors was just notified they are the contractor selected to perform the 8-week planned outage at the Westar Jeffery Energy Center in St. Mary's, Kansas. OMAHA, NEBRASKA - MMC Contractors was chosen by JE Dunn to be their mechanical contracting partner on the Offutt Air Force Base Medical Clinic Phase 2 Project in Belleview, Nebraska. OMAHA, NEBRASKA - In a previous press release we celebrated the new project the team was awarded by JE Dunn to be the mechanical provider on the Offutt Clinic in Nebraska. That was just one of the terrific pieces of business the Omaha team was awarded yesterday. OMAHA, NEBRASKA - More healthcare work is in our future! MMC Contractors has been awarded the complete mechanical scope of work for the new 32,500 SF Alegent Health Clinic being constructed in La Vista, Nebraska. Alegent Health is the top-ranked hospital system in Omaha. With everything going on at the Omaha office of MMC Contractors, the Omaha World-Herald mentioned our announcements in their online Local Digest. Click on the PDF to view the coverage. KANSAS CITY, MISSOURI - The Kansas City office of MMC Contractors continues to build on long-standing industrial client relationships with good bookings this week at Intervet/Merck and Bayer CropScience. These two recent bookings should keep several people busy during the month of September! 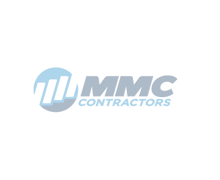 OMAHA, NEBRASKA (August 17, 2011) — The Omaha office of MMC Contractors – one of the top mechanical contractors in the country – is well positioned for continued growth, announcing today the company’s expansion through two acquisitions and a new team member.